This was a crazy reading year! 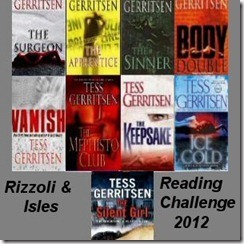 I’m happy to have finished these challenges and look forward to what 2013 has in store for my reading. My goal was to finish three or more series. I managed to get caught up with four of the five series I had listed. I consider that a success. I think there have been a couple new books since I created this list, but the original list is complete. Yahoo! Always one of my favorite challenges. I could have kept going but it was nice to finish at 24. I can definitely see the trend of who my most popular authors are. I tried to keep my library books to a minimum this year so that I would focus more on the books on my shelf that have been stacking up. 12 was the perfect number. My goal was the read 50 of my own books. I tried to focus on books I’ve had for awhile but I know that there were some brand new ones. I hope to continue increasing the number of my own books read each year. My goal was 15 and I made it well past that. I love finding new authors and getting recommendations from others. Can’t wait to see who I find this year. This was a fun one. I only read a couple books off my wish list and of course it just shows how much James Patterson I really read. I don’t know if this one is going on in 2013 but it would be fun to join in again. It’s been a whirlwind of a spring, summer and start to fall. First off, I’ve still be reading. That’s the good news. Second, I am extremely behind on my reviews but I’ve been keeping track of where I am at with challenges and wanted to hopefully work through getting a little bit more updated. Third, I am looking to start up a new website (with a new blog) that won’t be so much reviews and challenges, but more about everything – life, work, books, writing, etc. Once that is up an running I will post the new link. I’ll get going on updating my challenges and post an update. Reviews coming soon but will probably be short and sweet. 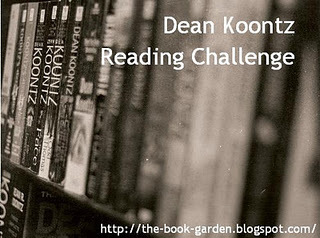 I’ve been wanting to read some Dean Koontz for awhile … mainly the Odd Thomas and Frankenstein series. This is a great way to get started. I’m going to stick with the Odd Thomas’ Mailman level and commit to 3 books. 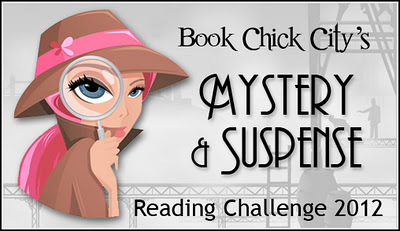 I loved this challenge in 2012 and I know I’ll be reading my share of mysteries this year so I’m going to be bold and go with Level 2 – 24 Mystery & Suspense Books. Can’t wait to get started. 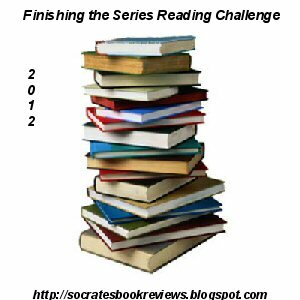 I think this a new challenge for this year and similar to ones I’ve done in the past but I love reading series and have quite a few I would like to get caught up on. I’m going to go with Level 3 – finish 3 or more series. Let’s hope I can finish these and maybe more. I didn’t quite finish the 11 in 11 Reading Challenge last year so I’m revamping my version of the 12 in 12 Challenge. 12 different categories but only 1-12 books to read in desending order. It took me awhile to figure this one out but I’m excited to get started.